Aha! 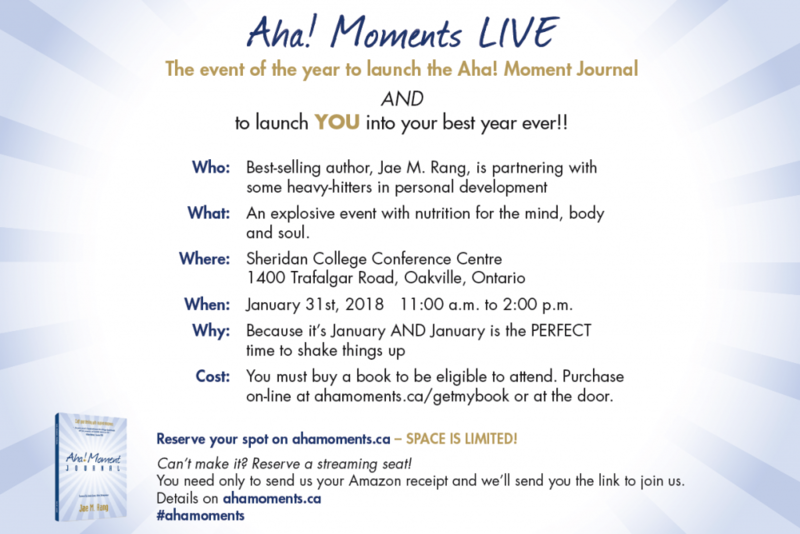 Moments LIVE - JAE associates Ltd.
Be part of our LIVE Event on January 31st, 2018 to launch the Aha! Moment Journal. You can join us in person or online!